Ask fellow campers about "Midway Park COE" and nearby attractions. 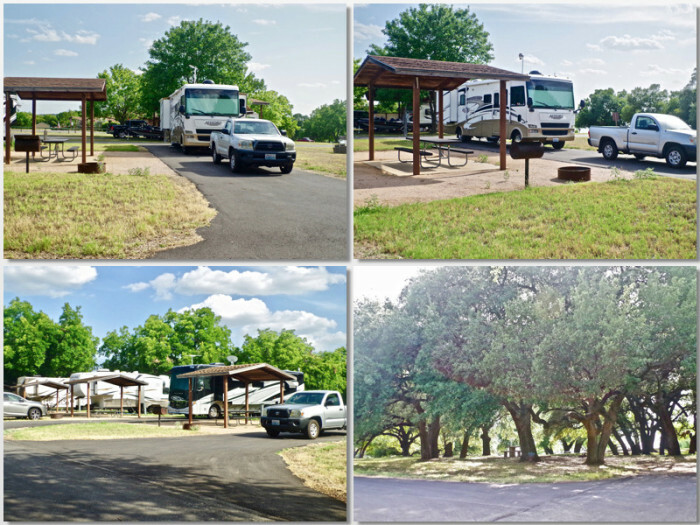 Nice COE campground on Lake Waco. Has both full hook up and partial hook up site. We stayed 3 nights in a partial hook up site and felt it was a good value. Grounds and facilities are clean. Here is also a dump station on site. Convenient to access highway to all areas of the city. Staff was friendly. The most of the sites are very long and level, more than adequate for most any RV. Site spacing is very generous. A few sites are sunny, most have trees and shaded some time during the day, which may present problem if using satellite system. There are about a dozen OTA channels available. Overall nice stay, would definitely recommend and come back. All sites have a picnic table and grill. We camped at Midway Park COE in a Travel Trailer. Magnolia Market seemed overstated but many people there buying lots of stuff. Branch Davidian complex site,was worth the ten dollar donation. Knowledgeable people on site with long forgotten facts. Drive to the gate, if the gate is open, it is OK to drive in, even though it feels a little eerie. Most info is in larger white church building straight ahead. Spice Village has very nice stuff and a great place to shop for the unusual unique gift. clean lots of room a view to die for. We camped at Midway Park COE in a Fifth Wheel. This park is on the edge of Waco, Texas. A lot to see and do in Waco. Also close to a lot of good eating places. We camped at Midway Park COE in a Motorhome. Magnalio silo, Texas Ranger Museum and suspension Bridge. This is one noisy and dirty park! Right along Highway 6 and in the approach pattern to the local regional airport. Upon arriving we found a lot of litter around our campsite and tons of cigarette butts thrown everywhere, along with nasty garbage in the campfire ring! We arrived two hours after the check-out time, so plenty of time for Park officials to clean up this nasty mess left by previous campers. The dumpsters were overflowing with garbage! We saw rats, not mice, darting in and around one dumpster. Sites are not level side-to-side and all sites have a slight hill to navigate, some sites more of a hill than others when backing in. Picnic table, fire ring and BBQ grill are terraced with railroad ties type steps. There is one restroom/shower facility for boaters and campers to share and that facility certainly needs a good scrubbing! No hand soap or paper towels provided. Lots of trees in the campground! The campsites are adequately spaced apart, but there is no vegetation between sites, so you can easily see and hear all your neighbors! We never saw any Park officials or Park hosts driving thru the camping loop during our 2 day stay. A gate is locked at 10pm and there is no access until 6am. AT&T 4 bars consistently. 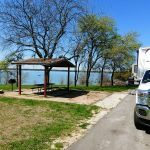 We camped at Midway Park COE in a Travel Trailer. Don't miss Mammoth National Monument 10 miles away. Richland Park is 3 miles away with national franchise restaurants. The park its self is a nice park. The roads are paved and the sites are paved, it's a pretty park. The bad thing is as you come through the gate there is a motor home under an awning that looks like crap...lots of junk around it. We think it was the camp host site. We were surprised that a COE park would allow the site to be like that. The bath house needs to be updated, dead bugs all over, did not look like it had been sweep out in months. There was a do not enter sign that is down and at no time did we see the camp host even try to fix it. It's close to everything and has great views...just needs some TLC. We camped at Midway Park COE in a Motorhome. Update the park for all RV, not just for 30 amp campers. We spent three nights here and loved every second. Such a nice clean campground right on the shores of beautiful Waco Lake. Close and convenient to everything Waco has to offer. It's not a large campground, and it's nice and quiet even with the close proximity to the highway. Utilities great, Verizon great, OTA channels abundant, friendly staff. Lots of shade, and covered picnic tables. We hated to leave this campground. And Waco was a real surprise to us, very lovely little city with more beauty than we expected to find here. We camped at Midway Park COE in a Fifth Wheel. You should visit Magnolia, of course. And Cameron Park is absolutely beautiful! The riverwalk area is nice. Fishing and boating is popular in the lake. We stayed here one night as a shake down. This COE park is well taken care off. Although it is a small park is very nice park. Close to Waco and all to do there. But still a very quite park. I will caution, some of the space are small,so be aware if you have a large rig. Yes we will go back. 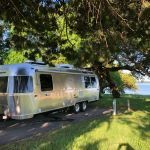 We camped at Midway Park COE in a Travel Trailer. We had a great site in the water and electric hookup area with a great view of the lake. We were able to get site 12, which was a group site so more expensive. Glad we didn't stay in the FHU area due to it being next to the highway. Plenty of room for our 39' 5th wheel and truck. Perfect spot to tour Waco. Visited the Magnolia Farms, which was pretty neat. There are several $10 parking lots near the silos, but there's a large free lot adjacent to Magnolia Farms on the South side. We camped at Midway Park COE in a Fifth Wheel. There was an unmarked trail off the end of the North side field. Neat trail that goes along a long abandoned road (reminded us of the old TV series Revolution) in Woodward township. This trail connects to an old side of an old park that is now mostly underwater. The trail also intersects with county trails and Woodward Park. There are markers and trail map plaques along the route about 1/4 mile in. We loved our stay! 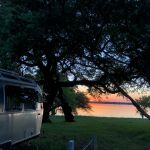 Our site #1 was a long back in with a beautiful view of Lake Waco and sunsets. We have a 43 ft 5th wheel and there was plenty of room for our RV and truck and the rear patio. The non-sewer sites were spaced out nicely with plenty of space between sites. The sewer sites were closer together and out by the road so I'm glad we picked a non-sewer site. Access to the park was easy, just off hwy 6. You have to go under a bridge before the entrance if you are traveling west on 6, but the clearance was plenty high enough (we are 13'6"). Verizon, AT&T and T-Mobile all worked well there. We camped at Midway Park COE in a Fifth Wheel. This place was a great find! Nice long (ours was 80') paved & level pull-thru site with a covered picnic table. 50 amp, water & sewer hook-ups. We got good WiFi coverage. Didn't get very good TV reception, but wasn't here for that. Location was good, right off the I-35/ Hwy 6 and 15 min. from Waco. You got freeway noise in the morning, but that was really it, I thought. For the money, wow, you can't beat this place! Right next to the water too, and a nice picnic area under trees. Really clean and well maintained. We camped at Midway Park COE in a Motorhome. We arrived mid-day and stayed one additional day. I wouldn't stay any shorter than that as there is plenty to see and do in Waco! Magnolia Farms, if you add a meal, takes most of the day by itself, then add the Texas Ranger Museum, and if you have children, there are other things, plus shopping, eating, etc. A great find was a local made ice cream place called The Heritage, check it out! Yum! We stayed in site 28 with full hookups. Right off the highway but road noise wasn't too bad. Sites had their own individual covered picnic area, however, it was too hot and we didn't use them. We camped at Midway Park COE in a Travel Trailer. About 10 minutes from downtown Waco. Fantastic price for stay with National Parks Senior Discount. Park has only 7 Pull Thru sights with Full Hook up and sewer. They are located about 200 yds from Texas Hwy 6 which has heavy traffic which is very noisy when sitting outside. Be aware there is no WiFi and no cable TV - this is a COE park. The pull thru sights are spacious and easy in and out. There are also about 25 other sights in the back part of the campground some actually on the lake but no sewer sights. This was a great park for visiting the sights in Waco however were disappointed that the grass was very high and there was household trash left in our fire ring which was never picked up the time we were there. 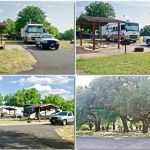 The park ranger said grass cutting was contracted to be cut once a month - the resident camper management had cut and manicured grass however. You can't beat the price and proximity to town however if we came back we might look elsewhere for a campsite. We camped at Midway Park COE in a Fifth Wheel. This park is on Lake Waco, on the west side of the city of Waco. It is just a few minutes west of I35. Most of the sites in this smaller park are back-in, 30 amp, water/electric sites. Several offer nice views of the lake. Most are shady, with covered picnic tables. There are a few "double-wide" sites in which two RVs share a spot that has two electric/water hookups. Also, a few have fairly steep ramps. Most of these sites are very long - long enough for any RV. There is one row of pull-through, 50 amp, full hookup sites. All of these have covered picnic tables. The sites are a bit closer together but not unreasonably so. Honestly, these aren't the best sites in the park. The reason is that they are located along the Highway 6 frontage road. This is a busy expressway with lots of traffic. The road noise is pretty much constant, 24 hours a day. Also, people with really big rigs might want to know that making the turn to drive into these pull-throughs is rather tight. There's a small, but nice playground and big boat ramp. The roads are excellent. Our Verizon had a solid 4G signal and I had no problem getting my TV satellite signal. That might not be true in some of the more wooded sites. We camped at Midway Park COE in a Fifth Wheel. Very nice park and very roomy sites. Close to the city of Waco. We camped at Midway Park COE in a Motorhome. Lots of sight seeing, eating and shopping. Park is in Waco...should be able to find anything you need there. Visit the Dr Pepper Museum and the Texas Ranger Museum. Magnolia Market is nearby, free parking in the back. There's a free trolley that runs from there thru downtown. Go EARLY, things get crowded quickly. It's an experience, but the store has lots of mass-produced foreign-made stuff and it's super-expensive. Downtown try Jake's Texas Tea House. Cute diner theme, try the chopped caesar salad. Perfection, and then they add bacon! Yum! The other food was excellent too, lots of homemade options. See the Waco Mammoth Nat'l Monument - very interesting! We enjoyed the Texas Ranger Museum, Downtown Farmers Market and Magnolia Market at the Silos. Waco great many things to do , if going to Magnolia Farms try to make it on a weekday early. Note for the other 30-amp sites that closer to the lake. Some of the sites are double sized sites. These double sites have 2-20/30 amp electric posts & 2 water spigots. Very large double sites, some having a beautiful overlook of the lake. If we had not needed 50-amp electric ourselves, would have taken one of those beautiful double sized lakeview sites! Call Midway to find out the site numbers! 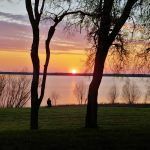 Lots to do & explore in Waco - we use Tripadvisor to guide us! Do not follow Google Maps directions to this campground! They will take you to the city park of the community of Woodway, TX. It's close to Midway Park, but the directions will take you through very tight neighborhood streets. Instead, stay on Hwy 6 and take the park's exit from there. if you finish at midway, head to airport park -- even more spacious! Are you affiliated with Midway Park COE ?